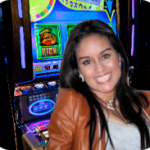 She's a Rich Girl Slots Game by IGT: Take a FREE Pokies Spin Here. Have you ever wondered what it’s like to be rich, The glamour, the money, the chicks, the toy boy’s, the lifestyle of looking down on the poor… Many of these things define some wealthy people in our society. What if there was a game that could enable you to experience all these elements. IGT has developed a game that gives players an opportunity to explore this lifestyle. She’s a Rich Girl game revolves around the life of a rich girl, her adorable pooch, her kitty, as well as her sugar daddy. The game has 5 reels and 9 paylines. It has great features that make playing both fun and exciting. The game consists of various symbols. All the symbols match its rich theme. This includes the rich girl and her sugar daddy, as well as their kitty and pooch. When you start playing, you will see the Rich Girl Logo, This is a Wild Symbol. You can substitute this symbol with any other symbol in the game, except for the Scatter Symbol. If you win using a Wild symbol substitute, your payout will be doubled. You can activate free spins if you get at least three Bonus Diamonds. The Diamonds are supposed to show up on reels 4, 3, and 2. When they appear, you will be awarded with three free spins. Every time a Diamond shows up on a reel, you are awarded with a free spin. 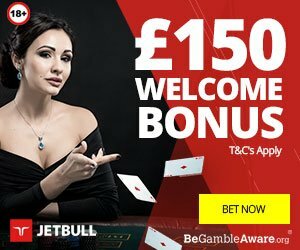 You can play until you get 100 free spins. This is the maximum number of free spins that can be awarded during a single round. If you get a colorless Diamond, you will be awarded with a free spin. 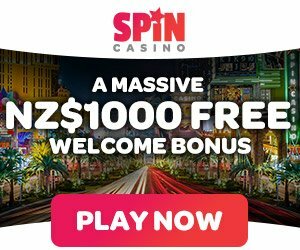 The Free spin feature will only end when you reach 100 free spins, or when you have exhausted your free spins. The Diamond Run Meter displays your current and previous free spins. This is good as it helps you to keep track of your performance. When playing the free spins, you will notice that the reels themselves become even more valuable. This increases the rate at which you will receive your payouts. The game has great multiplier features. If you get 3 scatter symbols, you will receive 3 times your total bet. In case you have 4 scatter symbols, you will receive a payout that is 10 times your total bet. Lastly, getting 5 scatter symbols in the game will give you a payout of up to 25 times your bet. She’s a Rich Girl game has 9 paylines. You can select from the wide range of between 1 and 300 coins per line when playing the game. Therefore, the maximum bet you can place is 2,700 coins. This range is ideal for all players as you can place either a high or low limit depending on your preference. She’s a Rich Girl Game gives you a chance to experience what it is like to be rich well in your pokies dreams. It has a user-friendly interface that makes it simple for gamers to play. Let the red-haired girl take you to an exciting adventure as you explore her rich lifestyle.